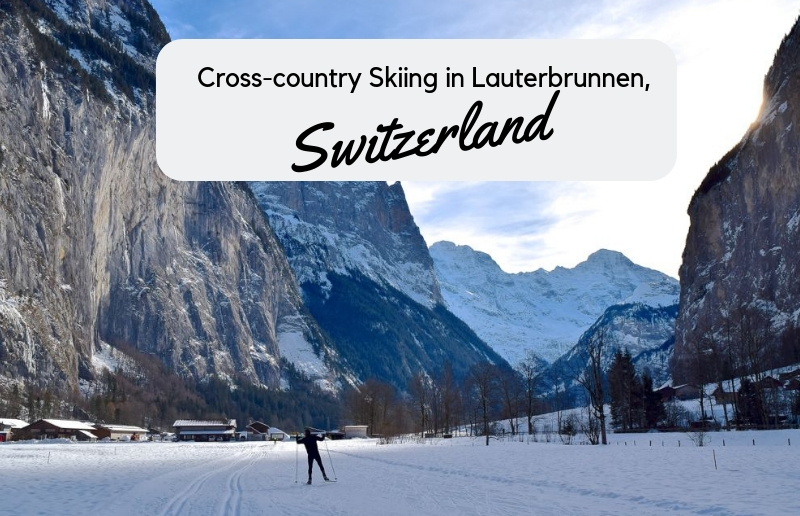 "Where should I go cross-country skiing in Switzerland?" 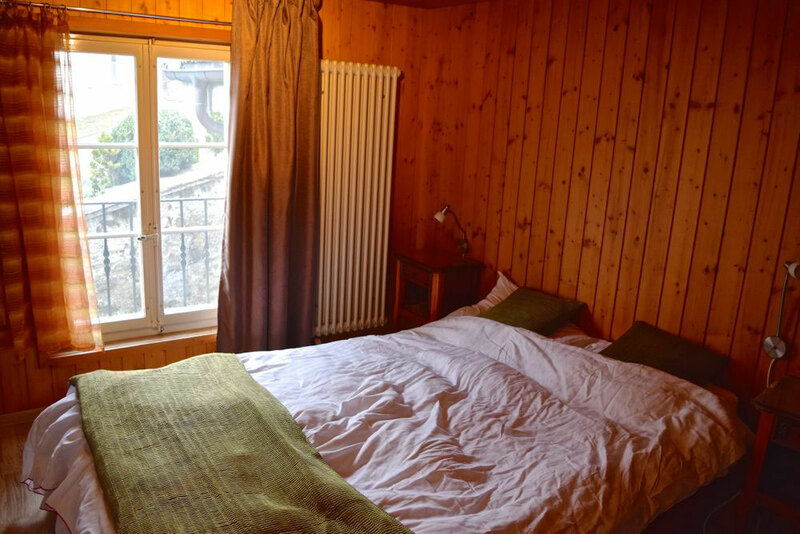 Well, why don't you try Lauterbrunnen? :) It's simply stunning. Get inspired by checking out the photos below! 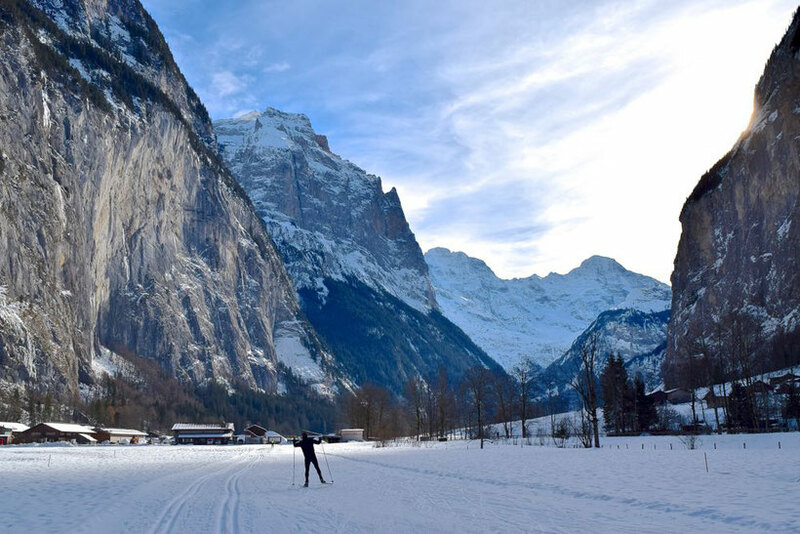 Cross-country skiing in Lauterbrunnen, Switzerland is like a fairytale. 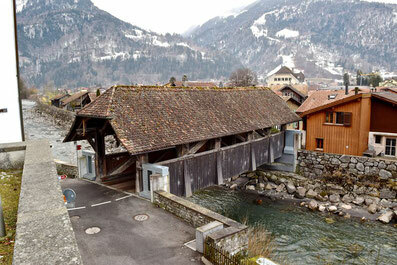 This part of the country is one of the biggest nature conservation areas in Switzerland. 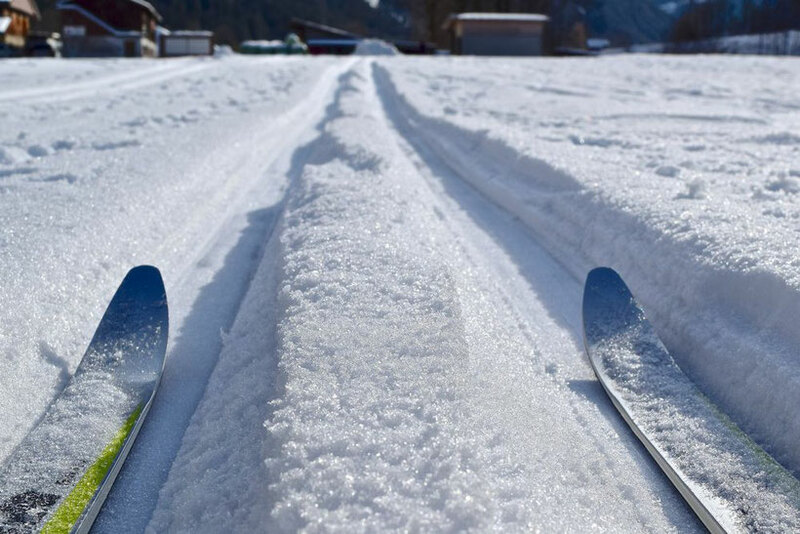 It's magical to practise this sport in a scenery like that - a beautiful valley, surrounded by majestic mountains, partly covered in snow, with views on iced waterfalls. 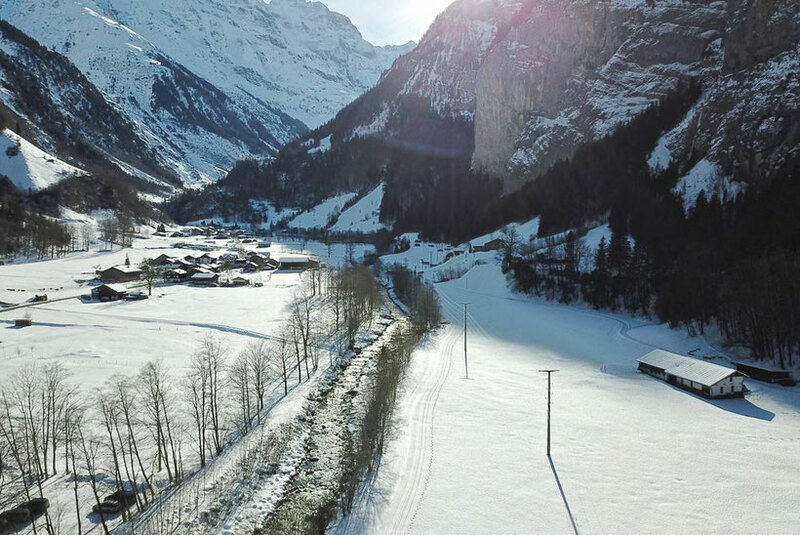 There are 12 km of slopes leading from Lauterbrunnen to Stechelberg, for both, skating and also classical way of cross-country skiing. 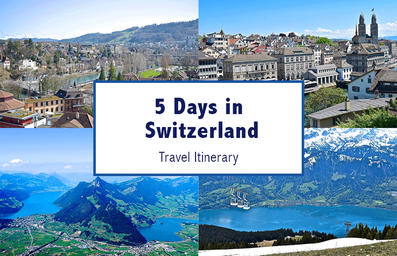 There is a daily fee of 6 Swiss francs; the weekly ticket costs 25 CHF. But don't get discouraged. It's really worth it. Hello, with a scenery like that?! 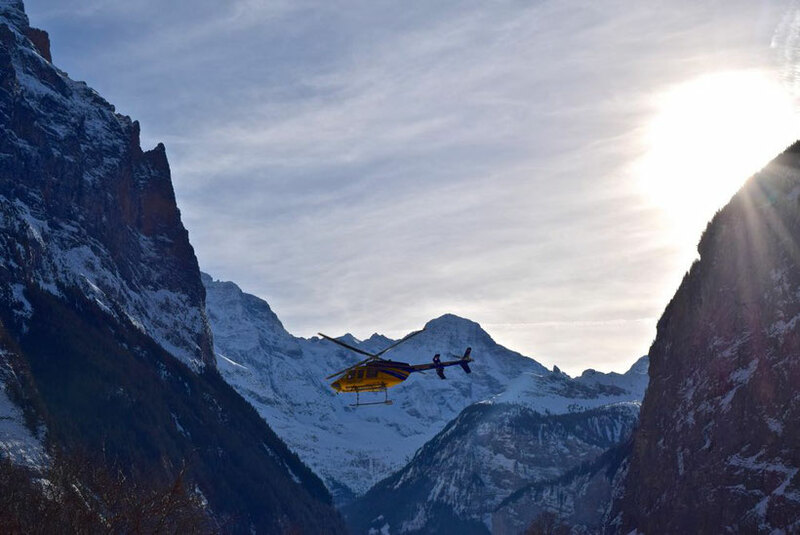 :) If you want to hire the cross-country equipment, make sure to stop by at Alpia Sport in Lauterbrunnen. You can get the ticket at the tourism information office in Lauterbrunnen or at the Eyelti sport center. 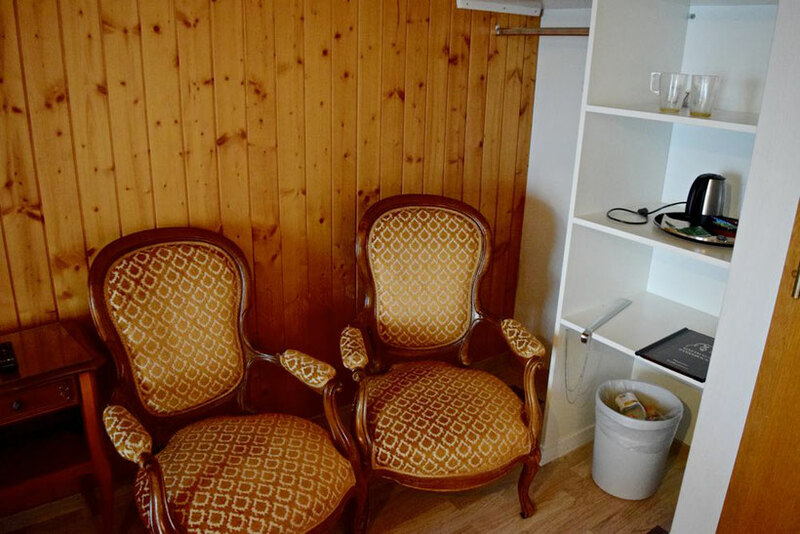 Free parking is also available at the Eyelti center. 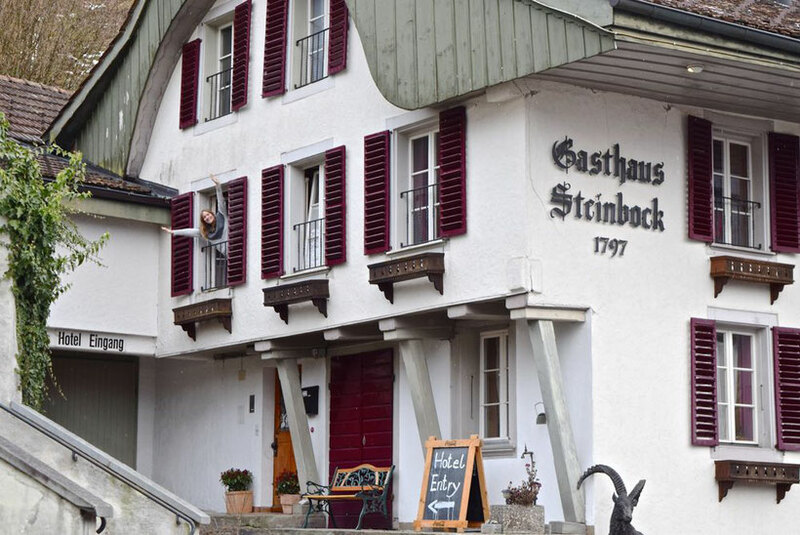 If you like a cozy but not too expensive place to stay, we'd recommend to choose the lovely guesthouse called Gasthaus Steinbock, located in Wilderswil. 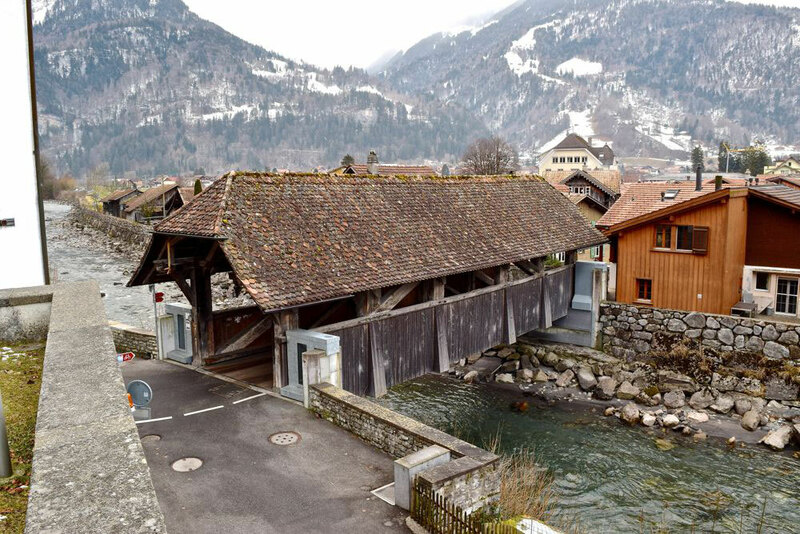 It's about 10 km from Lauterbrunnen and only 3 km from Interlaken. 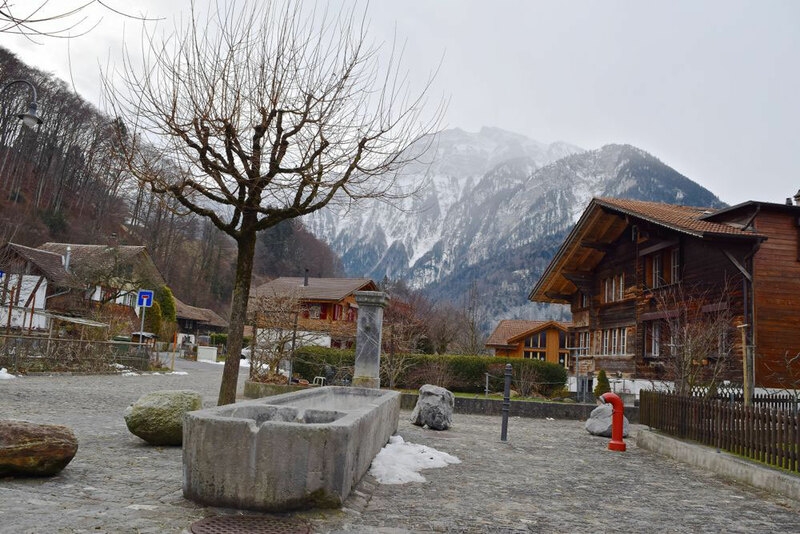 A great location if you want to go cross-country skiing in Lauterbrunnen in the morning and spend the afternoon at the lake in Interlaken! 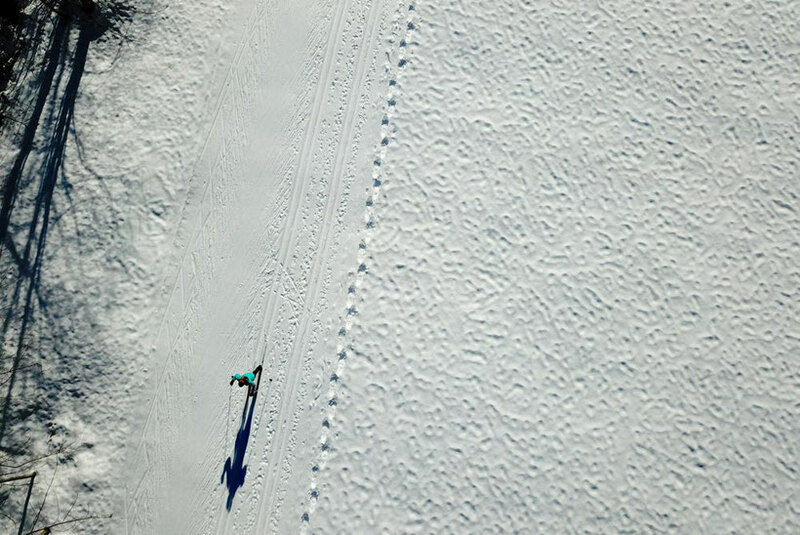 Where do you go cross-country skiing in Switzerland? Or are you planning to go? Let us know in the comments below! Hi, great post and pics. 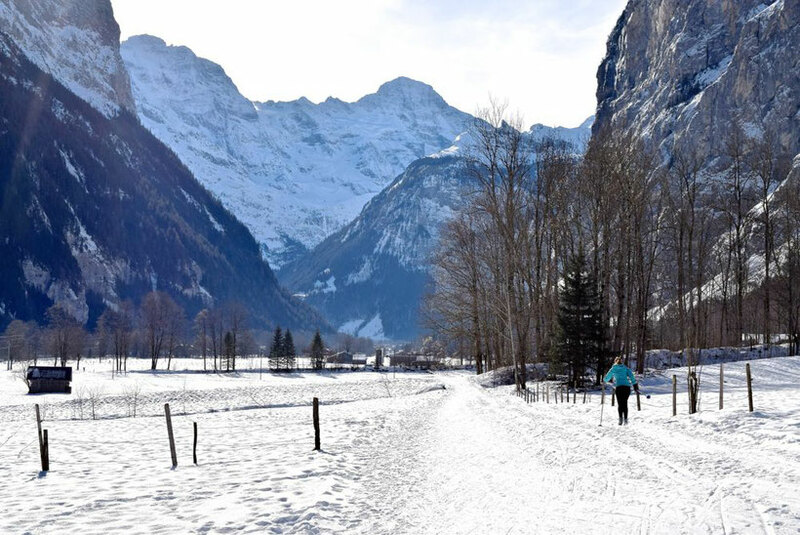 Do you know if snow shoes walking is allowed in the cross country trail at Lauterbrunnen? 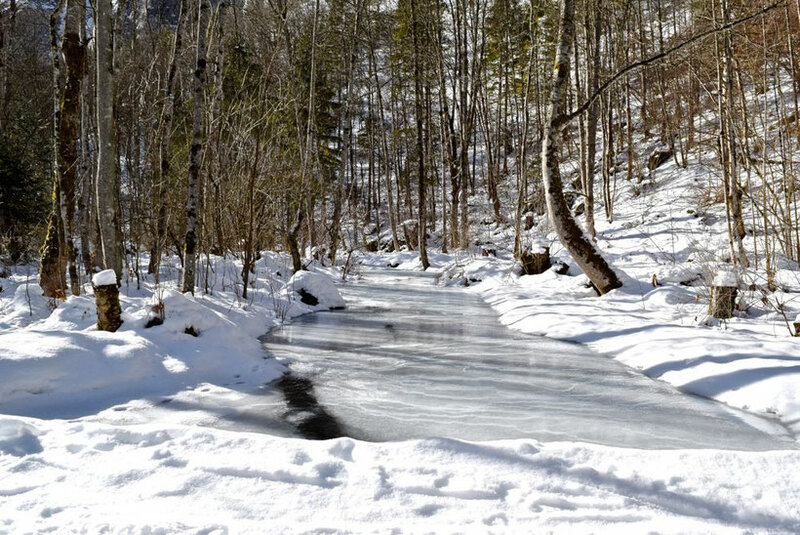 We plan to do some cross country skiing there in January (at a leisurely pace) but my mum will come along and she can’t ski so wondering if she can snow shoes along with us for part of the trail. Is the 12km trail one way or a loop? Thanks.